I don’t think I was quite prepared for what I was about to see. I walked around Matt’s opened truck door and saw Noah wearing frilly, lacy white socks, thick, all black, orthopedic-looking toddler tennis shoes, his hair was wet, and he had on his “back-up” outfit I send every day just in case he has an accident. Matt begins to tell me what happened. Turns out, while Noah was playing on the playground, he snuck off to a corner and had (pardon the descriptiveness) massive and explosive diarrhea that ran out of his diaper, through his shorts, down his legs, into his shoes, up his shirt, and (after not being discovered immediately by his teachers) rubbed all in his hair. 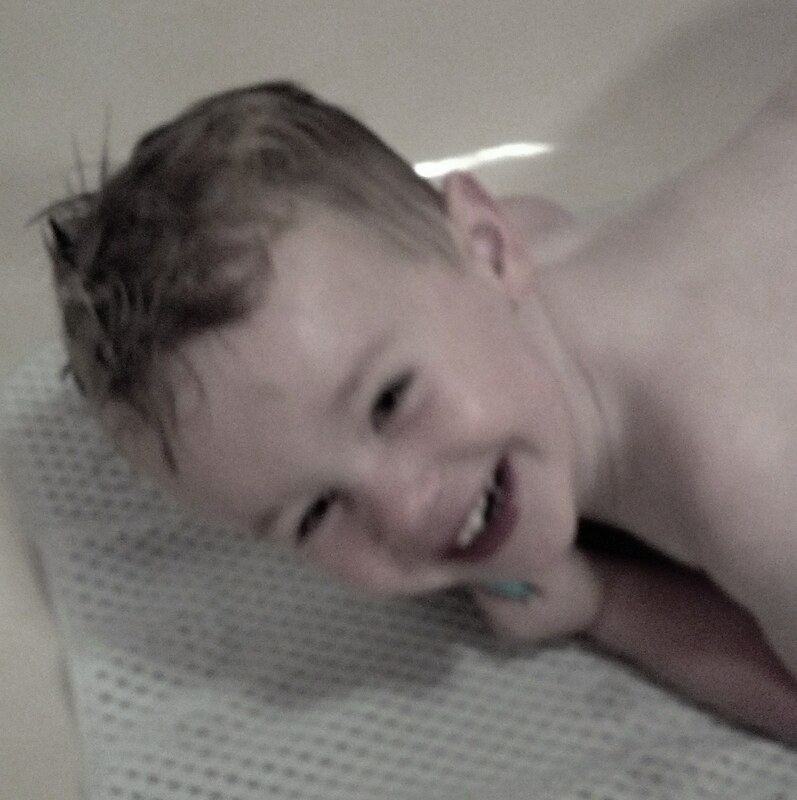 His teachers threw him into the sink (while trying to stop the other kids from playing in the poopy mess that Noah left behind) and hosed him off. They threw all of his soiled clothing and shoes into a plastic bag and sealed it up tight. When we got home and got Noah inside, we pulled those horrible black shoes off (clearly rejects left behind in a lost and found box at preschool because no parent would ever purposely put their child in these shoes), removed the lacy white socks which were clearly some random girl’s socks, and tossed Noah in the bathtub. I worked on scrubbing all of the “smell” off of him while Matt dealt with the horrible sealed grocery bag of soiled clothing. Yes you did, buddy. Yes you did.